Project 11 is setting the stage for even more success in its Grade 5-8 classrooms. This 2018-19 school year, elementary educators from Kindergarten to Grade 4 will have the opportunity to bring important mental wellness concepts to their classrooms as part of a provincial pilot program to introduce Project 11 curriculum to these younger students. Also new for the program, the early years curriculum will be offered in both English and French. 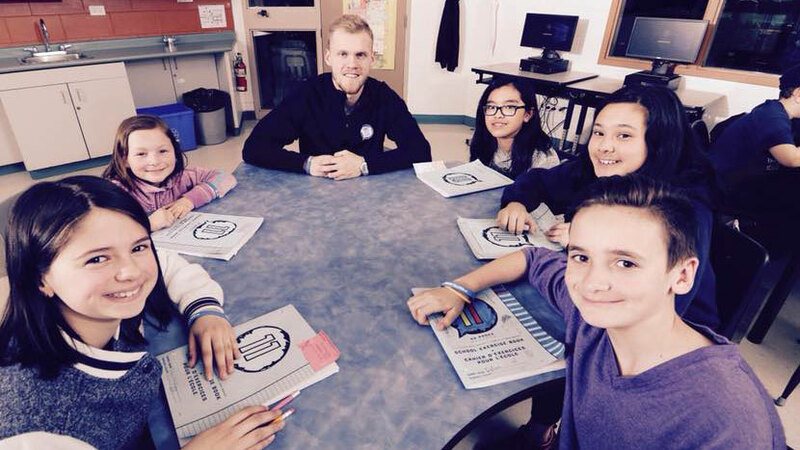 Project 11 is an engaging cross-curricular prevention program targeting Manitoba’s English Language Arts and Physical Education/Health Education learning outcomes. Weekly lessons and daily activities that can be integrated into everyday curriculum have been designed to help support students and teachers with mental wellness practices. The program’s lessons and videos provide mindful strategies for students to learn positive coping skills and build a greater sense of self-awareness. Teaming together to collect data from both students and staff has really helped the True North Youth Foundation gain feedback during the pilot process and continue to ensure that the program is relevant and meaningful. Feedback gathered over the past three years has confirmed the need for mental wellness education in schools. Both teachers and students expressed their admiration for the program and appreciate the stage of empathy that the program has naturally created within their classroom community. One statistic that was prominent in our findings was that the odds of bullying and being bullied by others in the Project 11 classrooms decreased by 54% from pre-test to post-test of the program. Project 11’s resources are all online, easy to access, and easy to incorporate in the classroom. Since its launch in February 2015, just over 24,172 students have benefited from mental wellness programming delivered by 576 teachers who have invested their time in the training. Participation in Project 11 is free and accessible to all Manitoba educators. If you are a teacher or know other teachers who would be interested in incorporating the mental wellness lessons of Project 11 into their classroom, direct them to projecteleven.ca or to register at projecteleven.ca/registration. Free training sessions will be held in October to assist teachers in incorporating the curriculum into their everyday lesson plans.